This participant made a purse to match her evening dress. 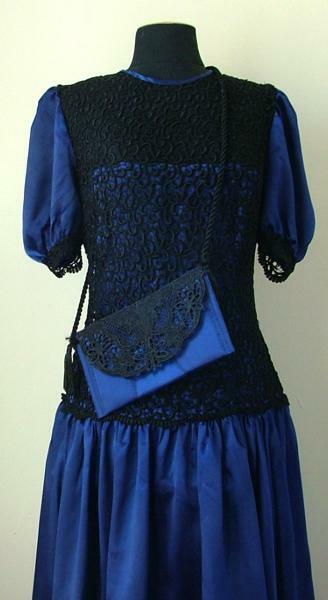 Her dress of blue silk satin with black lace. She used the same silk satin for the purse. 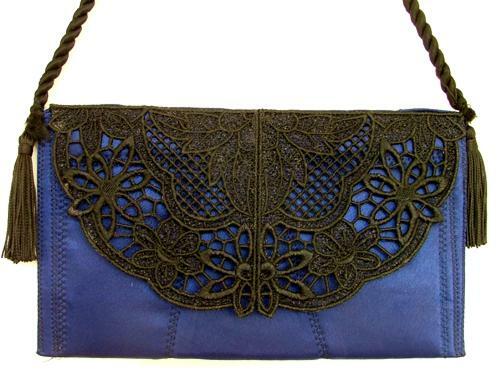 The cover of the purse she made out of free-standing lace. She used a half of the FSL doily from Our Lady Basket and Doily set. A very unexpected use of the design!